His live audience attendance exceeds 870,000 people (mostly youth), his television program “High on Adventure,” aired twice a day, four times a week for two years on Satellite and cable to 110 countries. Click here https://youtu.be/u2fjEyRARjs to see a NBC primetime, national news story on Arrington’s work with youth. Steve has done in excess of 3,700 public school assemblies in 49 states. He is a high-energy, athletic speaker who uses his many adventures to connect with and motivate youth. Students relate to and value his life-changing programs. Teachers appreciate how he re-enforces the importance of a commitment to studies, hard work and responsibility. “With Dreams Begins Responsibility” is a major theme of his presentations. He deals with serious youth issues in a sensitive yet commanding way, including: the impact of marijuana on young developing minds and bodies, how vaping just water damages lung tissue and other vaping dangerous issues. He teaches about the hidden dangers of synthetic and prescription drug abuse. 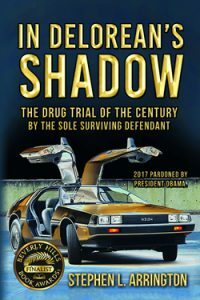 Stephen Arrington’s international award-winning book “In DeLorean’s Shadow: The Drug Trial of The Century by The Sole Surviving Defendant” is based on a life-changing, true story and is now available on Amazon. Click here https://youtu.be/MCzXJrueK1g to see a North State Action News Story on Arrington’s work in Northern California in 2018. Mr. Arrington’s only brother committed suicide 24-years ago. He has since done many dozens of teen and pre-teen suicide interventions. He shares why bullying is detrimental to everyone, including the tormentor. When he was 17-years-old, Arrington joined the Navy and did four tours in Vietnam. As a bomb disposal frogman, he worked with the CIA, Secret Service, law enforcement agencies and on top-secret military operations. A foolish marijuana mistake ended his 14-year career and directly led to his becoming a co-defendant in the John Z. DeLorean Case. Known as “The Drug Trial of the Century,” Steve thought his life was over. He had piloted a plane to Colombia under threat of a gun, the judge noting Arrington’s reluctant participation gave him a reduced sentence of only five years. As an honor inmate he became chief engineer of inmate Fire Company #52 and drove a fire engine out of the prison camp 17 times to save lives. Three days after leaving prison he was hired by the College of Oceaneering as an instructor and school medic. A year later, he saved a student who had been trapped underwater without air. He was awarded the Red Cross highest award for lifesaving signed by President Ronald Reagan. Two-years out of prison, he was hired by Captain Jacques Yves Cousteau as a chief diver and expedition leader. 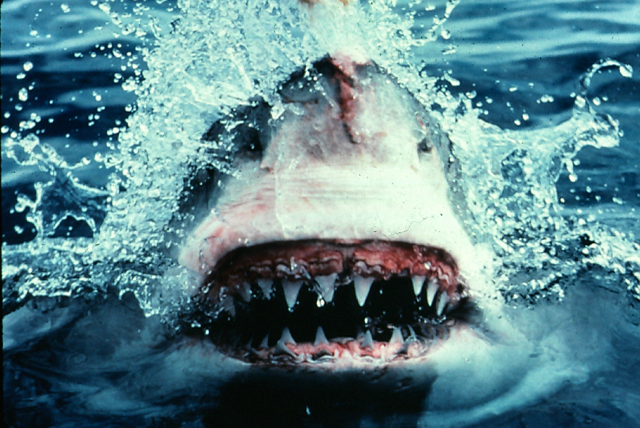 He spent the next 5 ½ years leading expeditions around the planet diving with great white sharks, humpback whales, orcas, dolphins and with lava flowing underwater. President Barrack Obama awarded Stephen Arrington a Full and Unconditional Presidential Pardon and then wrote him a personal letter recognizing his efforts to help youth on his last day in office. Click here to see his pardon and Whitehouse letter. Steve is very concerned about the impact that the legalization of recreational marijuana is having on youth. He is committed to giving back to society and though he is a national speaker offers his programs at local rates. He also speaks at universities, colleges, conventions and for youth organizations. He offers leadership programs for corporations and schools. To see Mr. Arrington’s most recent references and a comprehensive letter for principals and school counselors please click here.